55+ Community 2 Bedroom/2 Bathroom Condo Won't Last Long! 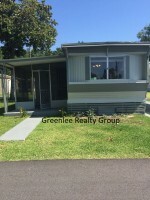 Newly Remodeled 3 Bedroom/2 Bathroom Home, Newer Granite & Appliances in Kitchen, Updated Bathrooms, Pet Friendly! 2 Bedroom/ 1 Bath End Unit Apartment – Trash and Lawn Included! Updated 3 Bedroom/2 Bathroom Home on a Corner Lot! Screened Patio, Pet Friendly! Beautifully Renovated 3 Bed/1.5 Bath home with NEW Tile Throughout, NEW Bathrooms, NEW Paint! 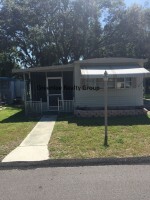 Beautiful 2 Bedroom/ 1 Bath Home in Park Lakes Estates! Fenced Back Yard! Large 3 Bedroom/2.5 Bathroom Condo off of a Lake with Access to a Dock! Community Pool! 2 Car Garage! Updated 3/2/1 with New Tile Floors Throughout! In Convenient Port Richey Location! Spacious and Gorgeous 2 Bedroom/2 Bathroom Home- Pet Friendly!